Let’s first create a user account to test the functionality. Again, have Burp running so we can see the HTTP request. 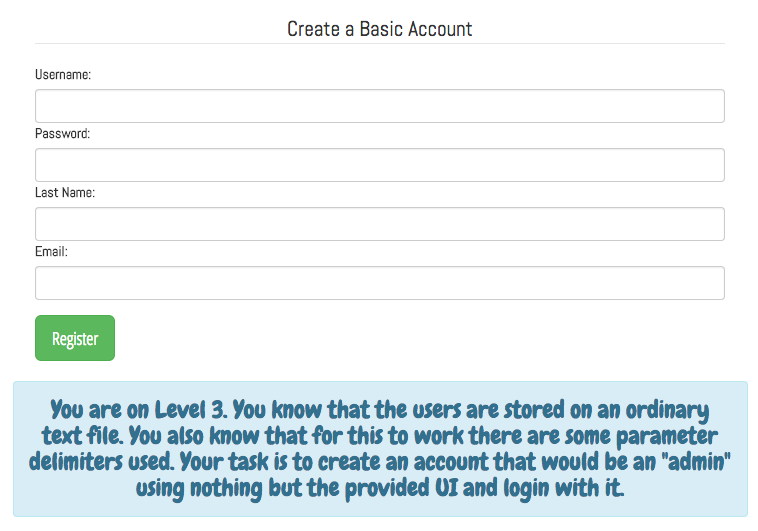 Login using the user we created, we can see that the role is ‘normal’, we need to change it to admin. We can use Burp’s Repeater to efficiently experiment with different parameters and values. 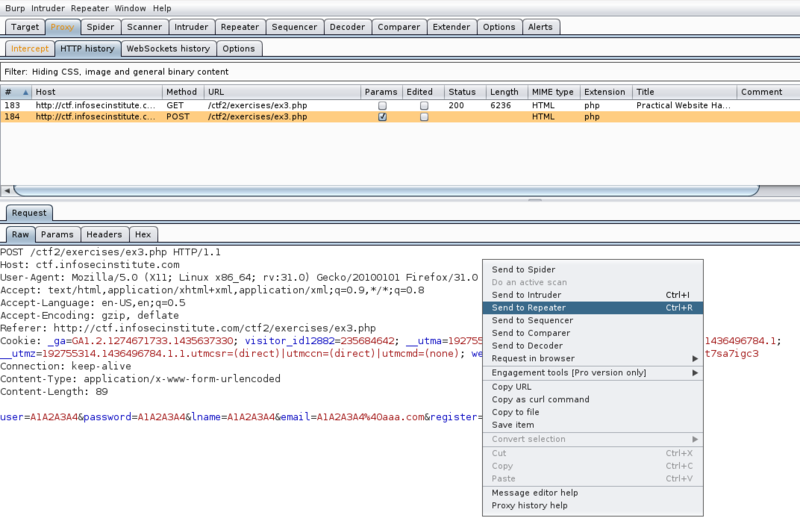 Find the Registration request under the Proxy tab -> HTTP History, right click and select ‘Send to Repeater’. After a while experimenting I noticed that adding a newline character would change the order of parameters. This means that we have shifted the order of the account’s attributes so, if we do our insertion after the lname parameter, we should be able to inject the role attribute in the right spot.